Um, a fed up author gets one too many rejections & snaps. He goes on the road and starts killing random people he meets. 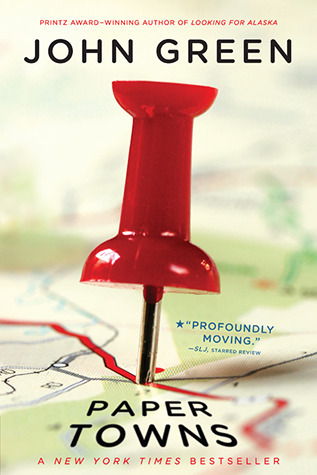 Paper Towns is about an agoraphobe who also has wanderlust, so he buys maps from towns all around the world and memorizes them in order to feel like he's visited them. A lonely cartographer begins adding imaginary cities to his maps, and makes millions on the tour guides he writes for them. Maybe a book about towns whose economic development is based on paper mills? A small town in Idaho is devastated when 90% of its population is wiped out by a giant thumbtack from outer space. It looks like the sort of book that would involve child abuse or something and not have a plot, but I may be misreading it. Somebody who has been away a long time and never thought that they would go back but some circumstance brings them back and they have to deal with whatever sent them away. tell me what you think, and suggest the next book in the comments!